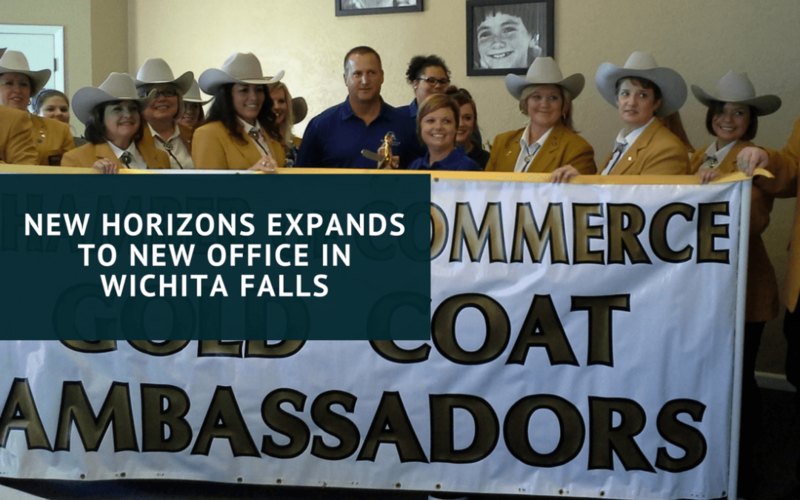 New Horizons celebrated the expansion of its Child Placing Agency in Wichita Falls on October 3, 2014 with a ribbon cutting ceremony. This facility will help continue fulfilling the needs of children in Wichita Falls through foster care and adoption services. The office is located at 4722 Taft Blvd., Suite 8 in Wichita Falls, Texas. Since 1997, New Horizons has been providing temporary and permanent homes to children in Wichita Falls who have been removed from their biological homes due to abuse or neglect. New Horizons trains and verifies families who have an interest in caring for children by opening their home for a child to live. New Horizons also provides therapeutic treatment services at two residential treatment facilities in Abilene and Goldthwaite to children from Wichita Falls who have experienced emotional trauma due to abuse and neglect. New Horizons mission is to provide an environment in which children, families and staff are able to heal and grow through caring relationships, unconditional love, and acceptance. For 43 years, New Horizons has provided services to traumatized youth and developed a statewide reputation as the benchmark for providing quality continuum-of-care treatment services to children and families in Texas. Other programs include foster care and adoption programs in Abilene, Brownwood, Fort Worth, and San Angelo, the S.T.A.R. Program which provides free counseling to youth and their families who are experiencing conflict and residential treatment centers in Abilene and Goldthwaite for children experiencing emotional trauma due to abuse and neglect. Throughout all of the programs, approximately 900 children and families receive services each year. For more information about New Horizons, visit www.newhorizonsinc.com or call 940-692-2300.